Love Island star Gabby Allen has secured a deal with massive fashion brand Quiz clothing! She quickly became known for her quirky (yet cool) hairstyles and her wacky, but occasionally controversial fashion sense (that we’re all secretly jealous of) and soon you’ll be able to recreate her iconic look with her upcoming collection. It’s out next month and was announced at a glamorous ‘Gabby X Quiz’ party. It looked ultra-cool and was SO Gabby themed; they had Gabby donuts, Gabby cupcakes and even GARCEL bottles. We’re SO jealous… how can we get personalised donuts? The lady of the moment wore a red, patterned dress that screamed Gabby and we think she rocked it. 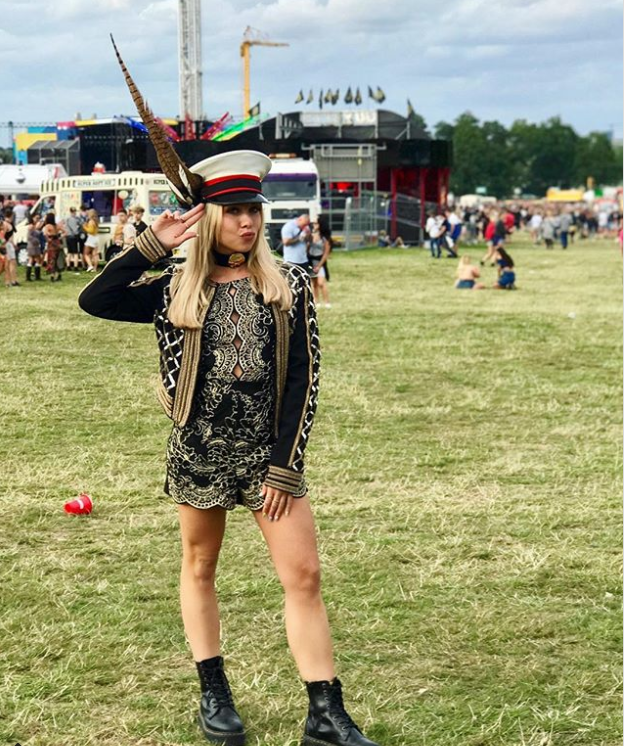 Gabby Allen recently divided fans with her military style Quiz playsuit for V Festival and personally, we loved it but some people didn’t agree as one fan commented: ‘No offence but fire ur stylist.’ Poor Gabs! Garcel are soon to be the next power couple, as Blazin’ Squad member Marcel Somerville is also modelling for Boohoo Men. He is also due to start his book tour this weekend! The Love Island contestants have been swarmed with attention from fashion brands since they landed in the UK last month. Winners Kem Cetinay and Amber Davis have both signed massive deals, and Amber has recently announced her second deal with Boux Avenue. Montana Brown has also become the first UK based brand ambassador for Pretty Little Thing!